Knowing who has driven a certain car and when is always a challenge. The MiReader is your solution. 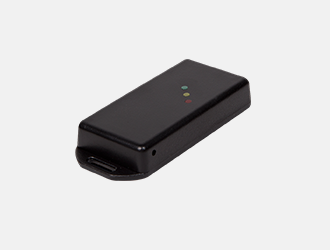 This system enables personal identification and can be used in combination with the Mi50 tracking system. The MiReader registers each route and is directly linked to the vehicle driver. The vehicle driver must move a pass (key fob) along a reader before he/she can start the car. If he/she does not do that the system will beep. He/she must continue to do this depending on the selected setting: 1 beep, 90 seconds of beeping or continuous beeping until the vehicle has stopped again. The vehicle can drive away. There is no immobilisation here. The personal (ID) profiles are simple to manage (yourself) on the Moving Intelligence platform. Only authorised users can view the information. With the MiReader you see the route information for the various drivers. This can be extended with for example driving style analysis per driver.